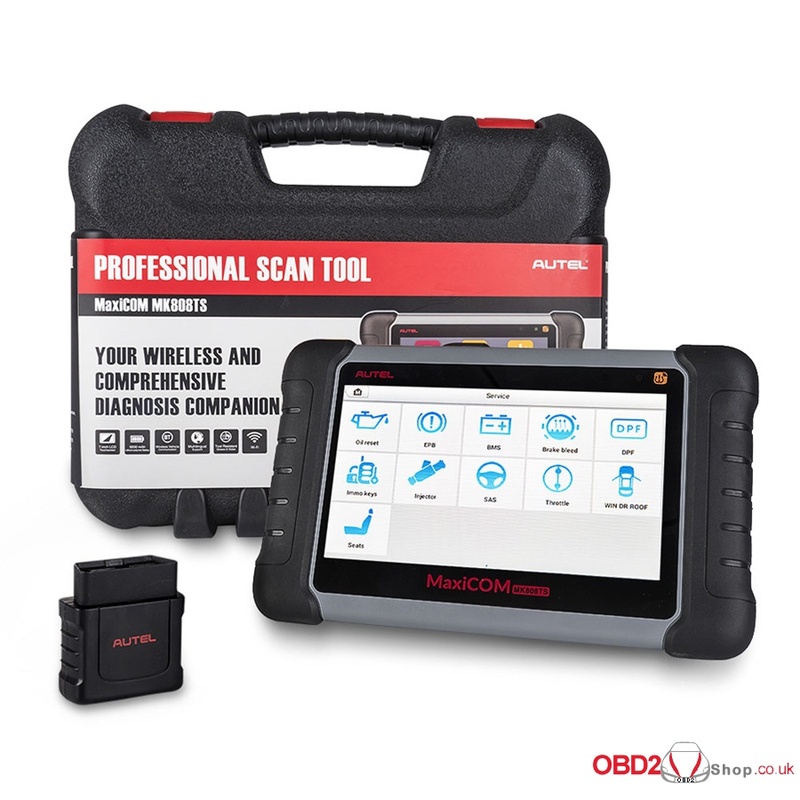 Newest Autel MaxiCOM MK808TS is a multi-functional tool performing OBDII diagnostic, service (Oil Reset, EPB, SAS, BMS, DPF and IMMO) functions and complete TPMS functions on a wide range of vehicles & models, but only sales for 605GBP. Tablet outlook: Here Autel MaxiCOM MK808TS tablet of the front, back and the side. As you can see, it looks decent with rubber shell on the both side to avoid falling on the ground, the 7″ screen is big enough specially good for the elders. If you have no hands to hold the tablet, just pull out the bracket behind. You don’t have to worry about the long running of the machine because of the heat sink behind the machine. Operation: Next is using Autel MaxiCOM MK808TS. It is easy to use by following the screen tips & instructions. There is a quick guide (on the connection, update etc), just read it before using it. For details, please refer to the user manual. 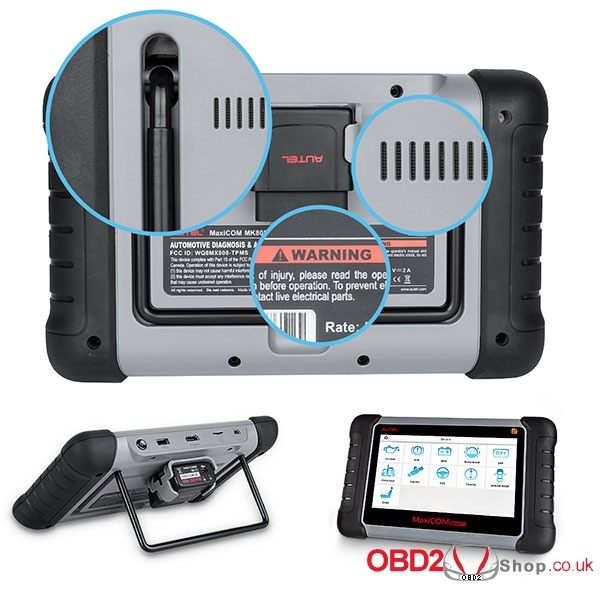 Generally speaking, Autel MaxiCOM MK808TS a multi-functional tool and works with many car models, it seems to be no difference with the similar tools i.e Launch X431. Actually, you can feel the running speed is amazing, it will take you from one screen to the next screen quickly [it claims Android 4.4.2, Cortex-A9 processor (1.5GHz)]. It’s very friendly to connect the tablet to the internet because the WIFI is enabled. Also it comes with lithium-polymer battery also allows users to charge via 5V power supply. 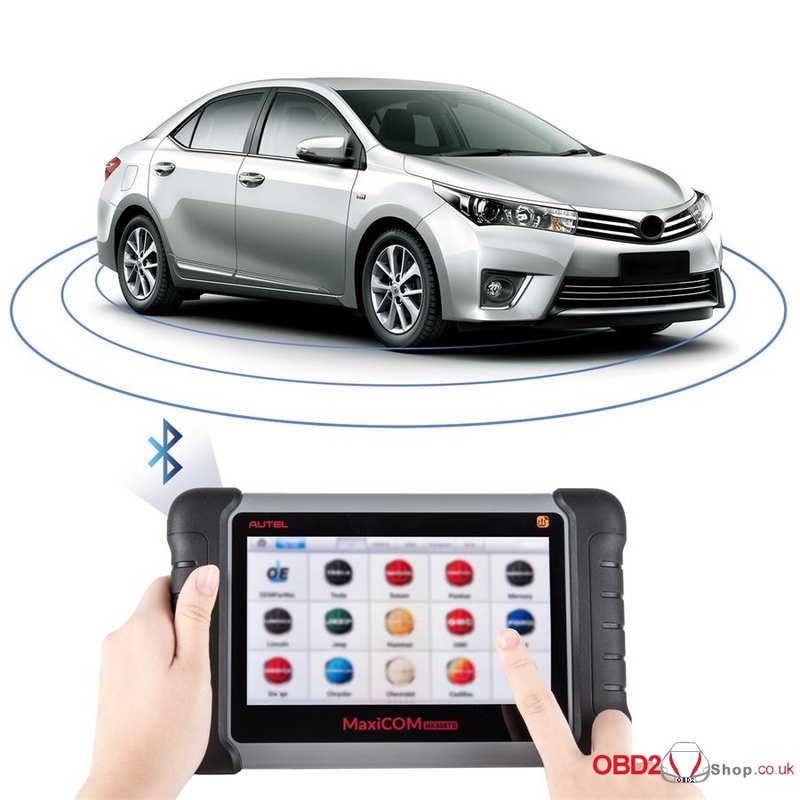 Tap the screen and choose “OBDII diagnostic” or “Service” you will see all the functions MaxiCOM MK808TS can perform. Here I’d like to list all the functions (Some of the listed functions depends on the manufacture). MK808TS has a wide coverage as you can see in the following picture. Where to buy Autel MaxiCOM MK808TS at reasonable price? You can go to this shop.